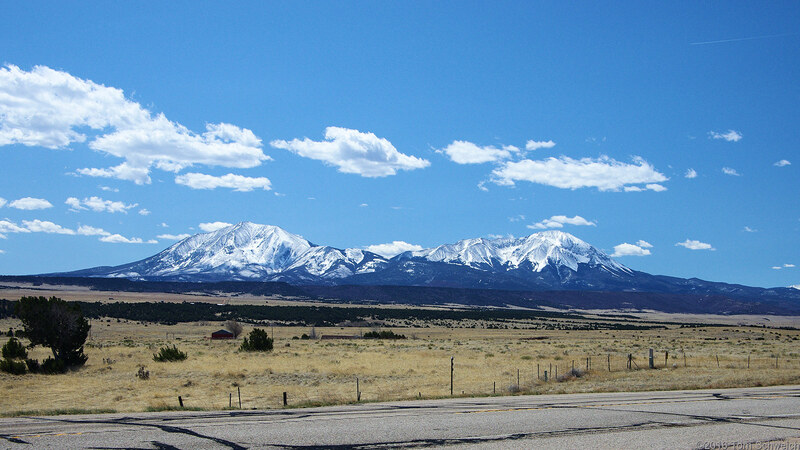 Photo: Spanish Peaks south from US Highway 160. Eastern Mojave Vegetation Spanish Peaks south from US Highway 160. Other photos about Geography - Colorado or Huerfano County.